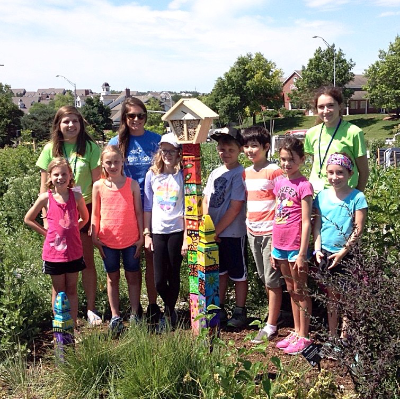 Explore nature through the study of gardening, plants and creative art projects at Southern Heights Food Forest, a community garden space. Learn firsthand as you dig in the dirt, plant seeds and seedlings and taste vegetables. Research about food systems, the life cycle of plants and why pollinators and compost are important to our environment. Build with natural materials such as tree cookies, sticks, pine cones and other creative projects in this certified outdoor Nature Explore classroom. With your notes and sketches of flowers, insects and trees, create a record of your experiences in your nature journal.